After the recording of their first album, Last Time (released in 1999), Nando Mello replaced Felipe Trein as bass player. 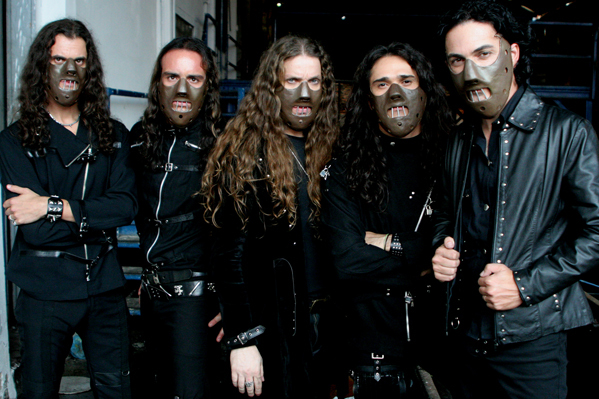 At the end of that year, the band suffered a new alteration with the departure of guitar player Cristiano Wortmann, due to musical differences. In his place, after various tests with guitar players of Porto Alegre, in came Eduardo Martinez, from the extinct band Panic, which during the 90´s was of great importance to the national heavy metal scene. n 2001 the band got great news when Aquiles was confirmed as Angra´s new drummer, the biggest name of Brazilian melodic heavy metal. In the beginning of August 2001, the successor to Last Time was released: Inside Your Soul. During the same year, Hangar also took part of the project Shakespeare´s Hamlet Project, of Die Hard label of São Paulo. 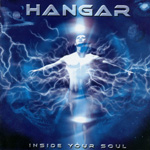 In February 2002, Fábio Laguna, guest keyboard player of "Inside your Soul" album, became a full member of Hangar. After a period of total inactivity, Hangar went through a long period of auditions to choose a new singer to replace Michael Polchowicz, who left the band in the first semester of 2005. After a year, during which more than 50 candidates were auditioned, Nando Fernandes was chosen to be the new voice of Hangar. The band recorded their new album, The Reason Of Your Conviction, concluded in January 2007. The Reason Of Your Conviction marks the beginning of a new phase in Hangar´s career and now the band is preparing for the world-wide release of their new album, that will take place in July in Japan, and in August in Brazil, Europe and the United States.